Firefox has released its much awaited Firefox 57 also known as Quantum web browser for Mac, Windows, Linux, Android and iOS users. This new browser according to Mozilla Foundation defeats Google Chrome in terms of speed, RAM usage, power consumption and others. The new Firefox browser has a new design and overhauled core that includes a brand new next-generation CSS engine that is written in Mozilla's Rust programming language called stylo. Firefox Quantum web browser is the first browser to to use multicore processors and offer 2x times faster browsing experience while consuming just 30 percent less than Google Chrome. One of the biggest selling point of the Quantum is the small RAM consumption rate compared to Google Chrome. The Firefox Quantum browser takes less processing memory when a user opens multiple tabs than Chrome browser. Quantum was made possible with the help of 700 authors that volunteered to contribute to the code and it then took Firefox a year to complete the project. The new Firefox has a built in screenshot functionality, improved tracker blocking and support for WebVR so as to enable websites take advantage of VR headsets. There is also an add in support for AMD VP9hardware video decoding during playback in an attempt to reduce power consumption to help combat battery drainage. 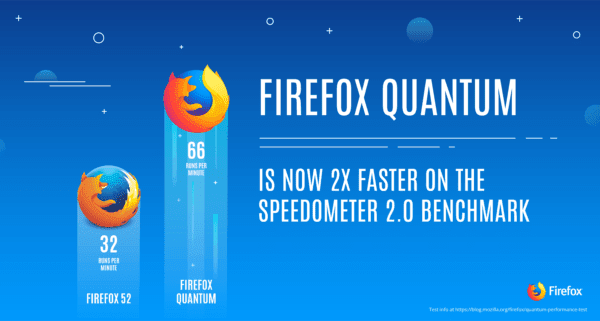 While the Android and iOS version of Firfox57 is set to be rolled out in a few days time, you can download the new super fast Quantum Firefox browser for your desktop here. I think Firefox Quantum is worth a look if you’re a little tired of Chrome, Edge, or Safari. Just don’t expect an earth-shattering new browsing experience. One of the first things you might notice when you fire up Firefox Quantum is the new logo. It’s livelier than it used to be, a bit more colorful, and a lot more modern, like the browser itself. The Zong is a largest 4G operator in Pakistan. To help customers who are looking for Zong 3G Packages we’ve arranged and listed all of Zong 2G, 3G, and 4G Internet packages. 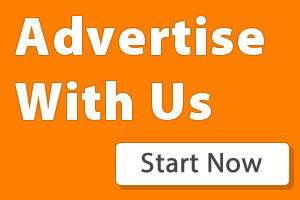 Check out Zong 4G Packages today from our website. Firefox Quantum can be faster but it i made a test between Firefox Quantum and chrome with a website of Pakistan Telecommunication But chrome was faster. Chrome is best.